Companies are using webcams, computer vision and machine learning to measure how people feel as they watch video content online. Knowing people’s reaction to what they see is extremely valuable information. Humanoid robots, self-driving cars, voice-controlled virtual assistants, etc., all need to recognize and understand human emotions to live up to their full potential. What about the myriad of emotions displayed on the Internet? Is it possible for AI to read and understand our feelings second hand? Yes, technology that can recognize people’s feelings by analyzing the emotion behind the words already exists. NTR met BPU Holdings at the AI Expo Europe in Amsterdam. We were exhibiting our autonomous drone that can map, navigate and inspect totally dark spaces, such as oil tanks. BPU was showing off its ZimOS Operating System Cloud Service that allows an individual or enterprise to move from AI to AEI for a more personalized, emotional emulation. Speaking at AI Expo in Amsterdam, CTO Carlos Nevarez said he believes it’s time for machines to become emotionally intelligent. While machines are becoming increasingly smart, they still remain cold, logical, and lacking emotion. Worse still, their programming is subject to both the bias of society and that of the programmer. “We are teaching the machine to synthetically emulate emotional intelligence to better relate to how you and I feel,” states Nevarez. Nevarez recounted a time he was out with his son and they saw a person fall. His son laughed, but when Nevarez explained the person could be hurt his son became empathetic. Over time, his son recognized when to show empathy. 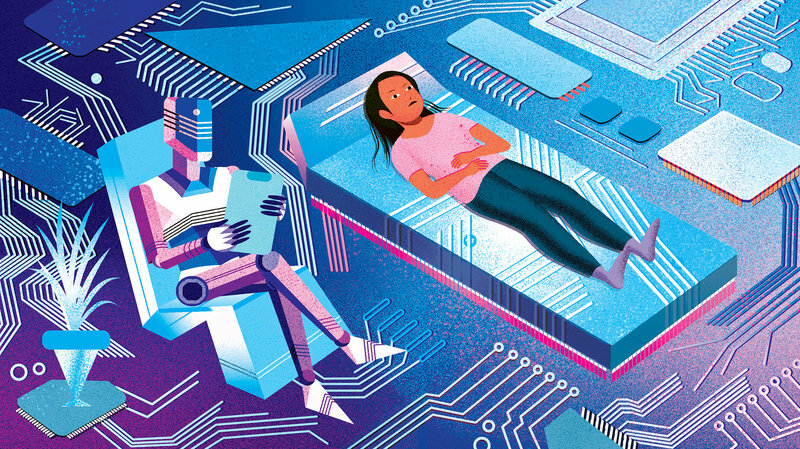 AI learns from patterns, and Nevarez believes that — much like his son — they can be taught empathetic values. ZimGo is an emotional intelligence search engine built on the Artificial Emotional Intelligence (AEI OS) platform. ZimGo AEI OS breaks the barriers measuring the spectrum of human sentiment associated with online social behavior. ZimGo uses advances in Natural Language Processing and Machine Learning to provide accurate, actionable information on a global scale. Its uses extend to social media monitoring, tracking of products reviews, analyzing survey responses and business analytics.